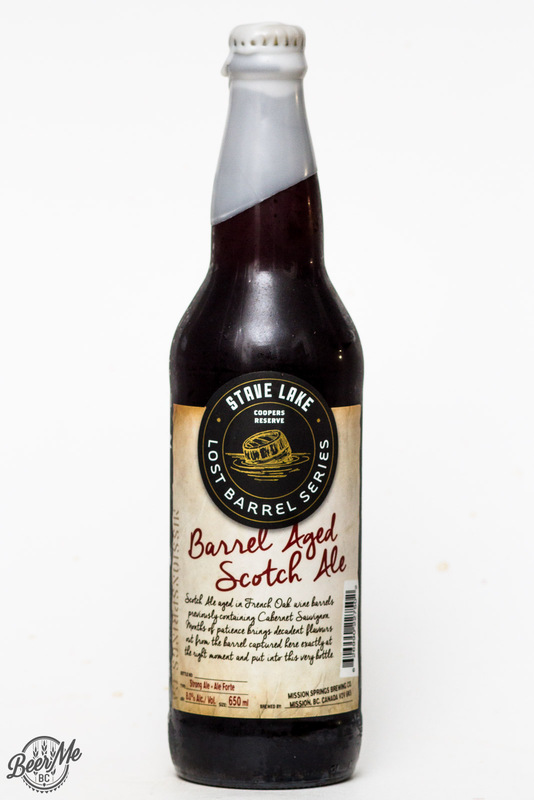 In Mission Springs’ Coopers Reserve line of Lost Barrel Series Beers comes the Stave Lake Barrel Aged Scotch Ale. 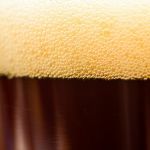 From a wax dipped bomber bottle this beer pours into the glass as a colour of dark chestnut brown and is topped with a finger and a half of lacing head. 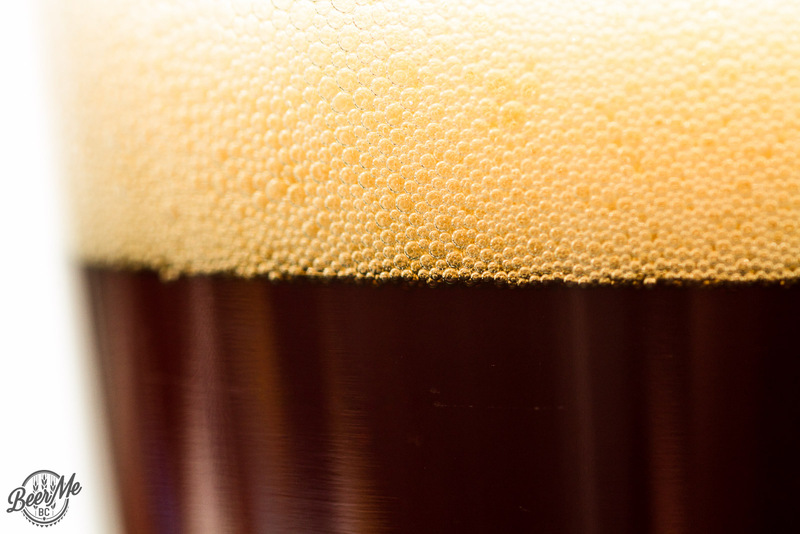 From the beer comes an aroma of oak, red wine and peat. The aroma is quite intense and from the use of Cabernet Sauvignon barrels a unique and intense wine-oak aroma takes charge. The flavour is lighter than you may expect with the grape/wine tones taking hold early on. 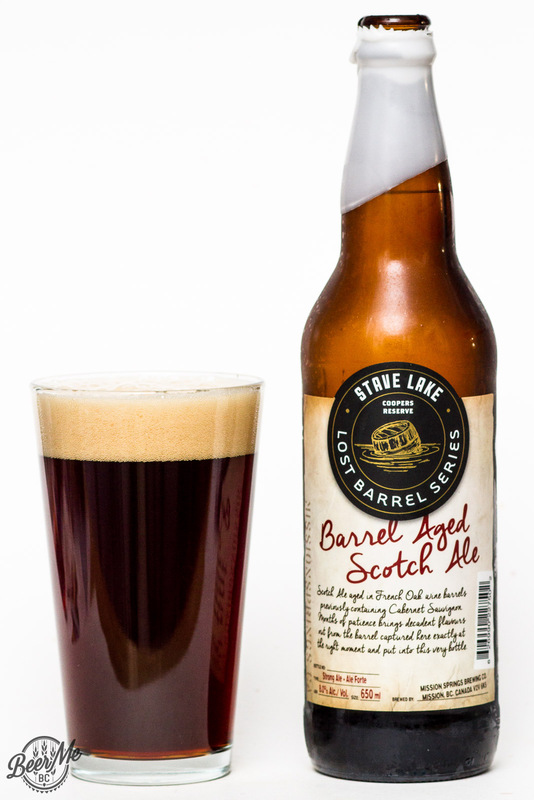 A light peat and deep roasted malt tone gives nice body to the beer but the oak and red-wine character lingers. The finish is dry and oaky once again. 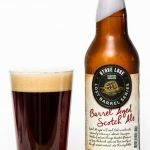 This is not your typical scotch ale and offers something very unique in its flavour profile.